Chelsea Handler has extended an olive branch to Angelina Jolie after years of criticism. The TV host joined singer Melissa Etheridge for an appearance on Watch What Happens Live with Andy Cohen on Thursday night, where host Andy made a reference to both women's dislike of the Tomb Raider actress and stated, "This is like a meeting of the Angelina Jolie fan club." 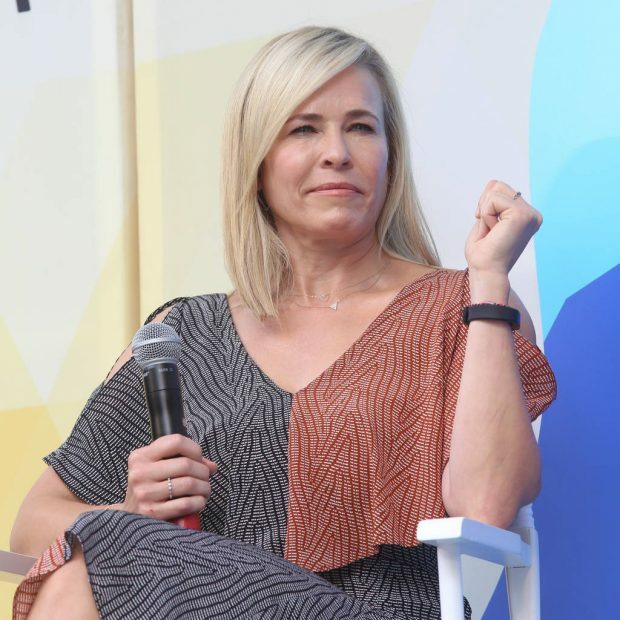 However, during the chat, Chelsea indicated that she has moved on from making digs at Angelina, who she previously described as the opposite of a "girls' girl". "You know what, I'm upset that I was so upset with Angelina Jolie. I realize, she's just trying to do her best too," she said. "I mean, obviously I'm not going to hang out with her, but I get it now. I have more sympathy and empathy for people that are like, 'She's really a mom and a wife and whatever she is.' I'm not sure but good luck to her." Yet, in an interview with More magazine in 2012, the 44-year-old insisted that the Oscar-winning actress' relationship with Brad wasn't at the crux of her continuing gibes. "You just know as a woman when you see another woman if that's a woman you can trust. She doesn't strike me as someone I would have a close friendship with," the comedienne commented.